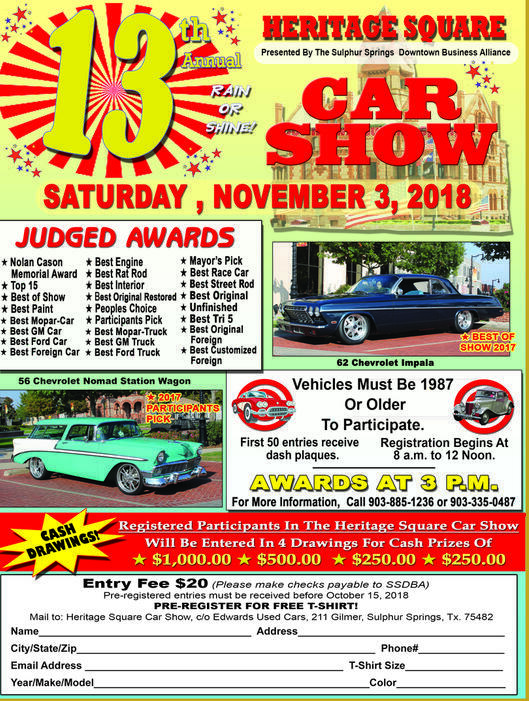 Registration 8am to 11am – Awards at 3pm – 1987 and older only – Registration fee $20 – First 50 entries receive free Dash Plaque – Goody Bags – Door Prizes – Drawing for Specialty Prizes for Participants only at awards – Participants only eligible to win four cash prizes of $1000, $500, $250, $250….Preregistration open through October 15, 2018. Go to website to download flyer or contact Rita Edwards for more information. Check out our nationwide list of car/bike/truck shows in our event section. The numbers fluctuate but at time we have had over 1000 events listed. We also list fundraisers, and boat shows. Have an event you want to promote. Let us know. Visit, like, share our posts and page. Were adding events for 2018 daily. College does not have to be just a dream.